Welcome to EarDeals the cheapest “big brand” hearing aids in Australia! At EarDeals we have innovated beyond the traditional hearing aid clinic and sit in the Australian market as the price leader, delivering a high-quality hearing health services, the envy of our competitors! The result is a daily cost saving to our business that is simply passed on to you our clients the cheapest hearing aids in Australia. You will read online, and in glossy magazines that cheap hearing aids purchased online are terrible, service is poor and that you don’t know who will test you. However, the truth is we have highly trained and certified clinicians and our clinics are state of the art testing facilities – we just have a strong online platform. EarDeals stocks the same great value hearing solutions and affordable hearing aids from Australia’s most fitted and popular brands – just cheaper! We stock invisible hearing aid devices, small hearing aids, Bluetooth hearing aids and rechargeable hearing devices. Call EarDeals today to get a hearing aid price or scroll through our website to see our range of discounted hearing aids on offer. Our low-cost hearing aids are so cheap that you will start to question why you didn’t go online sooner! So for great hearing aids in Sydney, at Australia’s lowest prices book a free appointment online and visit our clinic today. Yes, we do have a clinic!! Each month we offer great hearing savings through our free online catalogue. These products include Phonak, Unitron, Signia and Vista hearing aids. Additionally, you will find cheap hearing aid batteries in sizes P10, P13, P312 and P675 from Powerone! EarDeals offers a pay-as-you-go servicing option whereby following your purchase you will receive 60 days of free services. This allows you to trial the hearing aid for 30 days with 100% money back guarantee should you wish to return the device within 30 days. You may visit as much as you would like within that 60 day period for free adjustments. After the 60 days of free servicing, you will simply be charged per appointment when you require our services. This ensures you only pay for what you need and when you need it! One of the most common concerns we hear is that the hearing aid industry bundles servicing. The result is that consumers end up paying for services they don’t need or may not require long term. At EarDeals we simply believe that you know when you need help and so we offer very competitive services to match our pay as you go model! EarDeals offers 10% off any comparable quote. That’s right we will drop our prices even further should you send us your quote from another retailer – it’s that easy! If we don’t stock the same product, we will match your product choice by comparing the features with one of our popular hearing aid brands and beat that price by 10%! We often beat quotes on Oticon, Starkey, GN Resound, Kirkland and Widex hearing aids. So call us today for a free quote. Welcome to Ear Deals the home of Australia's cheapest hearing aids from big brand manufacturers. Ear Deals is 100% Australian owned and operated. We offer an affordable pay-as-you-go service following 60 days of free help and a 30 day 100% money back free trial. Additionally, we will beat any quote by 10% on all devices such as Bluetooth Hearing aids, rechargeable hearing aids and invisible hearing aids. We are at our purpose built clinic 100% of the time so you can always find us when you need us. EarDeals is not a visiting site or middleman taking a cut on your hearing aids! We don't pay our clinicians a sales commission on the sale of a hearing aid. Call us today on 1300 010 064. EarDeals prides itself on quality hearing healthcare at an affordable price for all Australian's. This video gives a step by step example of how your FREE hearing test and consultation will look like when you book an appointment with us. We hope through imagery our personal approach and caring ethos is demonstrated every step of the way. Because the start of any great service is a smile. Annie your EarDeals hearing specialist welcomes you. 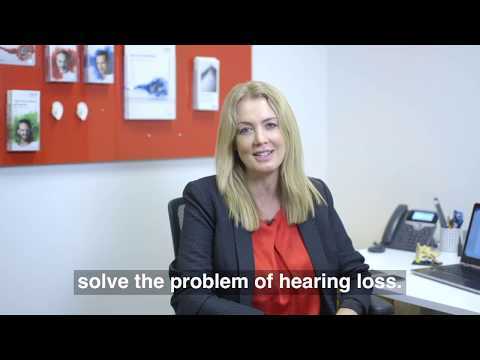 Annie explains our point of difference and gives you a brief understanding of how she and EarDeals can help you with hearing loss with our cheap big brand hearing aids! I work for EarDeals and love my job! EarDeals does not pay commissions or incentives for me to sell a hearing aid! If a medical condition is detected, I will refer you to your doctor for a medical evaluation.